There is no substitute for a good water heater that you can depend on to provide you with plenty of hot water when you need it. At Lightfoot Mechanical, we sell, maintain and repair water heaters in Fort Worth and the surrounding areas, and we are always more than happy to help ensure our customers have hot water every time they turn on the tap. Whether you are installing a water heater in a new home or having your old one replaced, choosing the right one is crucial. We offer both tankless water heaters and conventional water heaters with storage tanks, and we can help you determine which option is best for your home. Tankless water heaters offer numerous benefits, but sometimes, they aren’t quite up to the job of providing enough hot water at one time for large families. 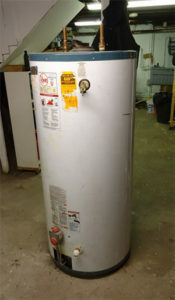 When you’re in the market for a new water heater, you’ll also need to consider the fuel source and size of the system. The plumbers at Lightfoot Mechanical will take a close look at your home and your family’s needs to help you make a decision that you will be happy with for years to come. Few things are worse than a stream of icy water when you are looking forward to a hot shower or bath. Unfortunately, even the best water heaters develop problems from time to time. When you need water heater repair in Fort Worth, the experts at Lightfoot Mechanical can help. We offer 24/7 emergency service, and we can fix your water heater in no time! When you need Fort Worth water heater services, depend on the experts at Lightfoot Mechanical. We serve the entire Fort Worth area, and we’d be proud to have you choose us for your water heater needs. To schedule an appointment, please call 817-596-0309.